Welcome to the health benefits of meditation. What general relaxation can do for you. How your ‘state of mind’ can affect you physically. The 7 health benefits of meditation. We debunk some common myths about meditation. 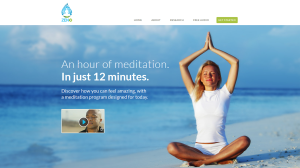 How you can meditate EFFECTIVELY on just 12 minutes per day. Maybe you’ve had reason to say that to someone else? However well-meaning, that simple phrase is often said without understanding the benefits that this ‘mild form of meditation’ can have. Certain cultures have understood the benefits of meditation for centuries. Now, the latest scientific research is proving those benefits to be true. How Meditation Can Reshape Our Brains: Sara Lazar at TEDxCambridge 2011. Weakening of our immune system. Muscles tighten, restricting blood flow and oxygen. When stressed, digestion and immunity take a lower priority, whilst our bodies deal with the immediate danger. Of course, some people suffer from long-term stress, which is certainly not good for their health. Keep in mind that there is only so long that your body can function properly, with digestion and immunity being ‘strangled’ by the effects of stress. For more information on stress, we have a free 6-day course available (link at the bottom of this page). Using methods of relaxation can bring about the production of serotonin (the ‘feel good’ hormone). It is also believed that growth hormones are stimulated, aiding tissue and cell repair. Loosening muscles – allowing blood flow and oxygen to circulate more freely. Can our state of mind affect our physical being? Harvard Medical School concluded that people practicing meditation produced more active disease fighting genes. It is not surprising that their study revealed that high blood pressure was reduced. However, other ailments, such as the pain caused by rheumatoid arthritis; plus improved infertility through healthier hormone levels, were more surprising. The research also revealed that dormant genes, designed to ‘protect us’, can easily be ‘switched on’ following simple life-style changes. Furthermore, regular meditation produced increased results. In January 2012, Foodmatters.tv listed 7 health benefits of mediation. Shown meditation to reduce the reoccurrence of breast cancer. Boost the resistance to tumors and viruses in the elderly. 2) Meditation Acts as an Anti-Inflammatory. 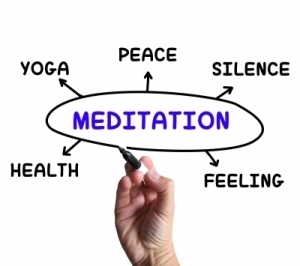 One of the physical benefits of meditation is that it can reduce stress and, therefore, reduce inflammation. 3) Irritable Bowel Syndrome Relief. Studies in Australia and Turkey have found that women are less likely to fall pregnant when under stress. Meanwhile, a male’s sperm count is also likely to be reduced when under stress. With regular meditation known to reduce stress, it is therefore believed to increase fertility in both sexes. 5) Lowering of Blood Pressure. Studies at Harvard Medical School concluded that blood pressure is significantly lowered following meditation. Uncontrolled negative emotional states are not good for our overall health. Therefore, if we can ‘clean our mind’ of poor past programming, we can respond to current events with a much more rational state of mind. 7) Being Able to Think. Many people are living their lives in a state of stress or overwhelm. This is severely preventing us from thinking creatively and logically. Simple tasks can take forever, whilst more complex tasks can often be ‘out of our reach’ altogether. With the practice of meditation, you can clear the ‘junk’ from your head, giving your sub-conscious mind a chance to think straight. This is the mistake that people are making. They think that ‘grabbing a quick 10 minutes’ here and there; or lounging about, watching ‘trash TV’ in the evening, is ‘relaxing’. The above might be an improvement on the previous 10 hours of your life (i.e. when you’re at work). But, it is unlikely to bring you the true health benefits associated with meditation. Yes it does. However, there is good sleep and bad sleep. Some stressed-out people take hours to get to sleep. Furthermore, when they do eventually ‘nod off’ they can’t sleep for more than 2 hours without waking up again. That is not a good recipe for repair – physically or mentally. It is far better to have more control over your life, brought about through meditation. Then you can have quality time when you are actually asleep. Actually doing nothing is probably the best thing we can do in todays’ ridiculously hectic lifestyles. In the time that you will spend meditating, it will give your brain a chance to ‘take stock’ and line up all the answers that you have been hopelessly unable to find for the past month. Give meditation a try, but whatever you do, don’t lay there feeling guilty that you are ‘not doing anything’. Of course, there will be some people who, after laying there for an hour, end up feeling more frustrated than when they started out. That is why we were delighted share with you Zen 12. We are in the process of producing a review on Zen 12 (it should be available in a day or 2). In the meantime, you can read more about it, or even take a free meditation download at the official website below (click on the image for immediate access). Introduction to Meditation for Beginners. The types of meditation techniques available. A number of excellent resources which show you how to meditate properly. Telling you what stress management is. The symptoms to look out for. Some more permanent stress management techniques. We hope you enjoyed the health benefits of meditation. Please share using the social media links below.